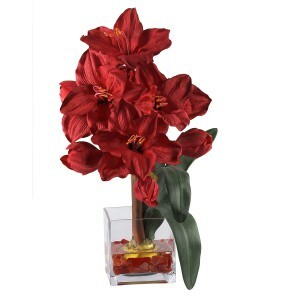 Bursting with color and warmth, this decorative Amaryllis silk flower arrangement offers a unique look, for holidays or anytime! 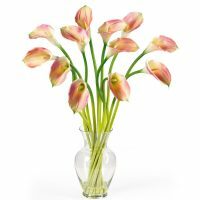 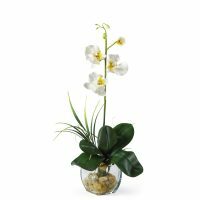 At 20″Â� inches tall, this lush, striking Amaryllis can be displayed in any sized room. 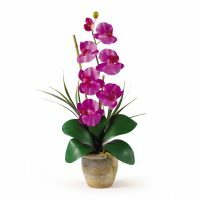 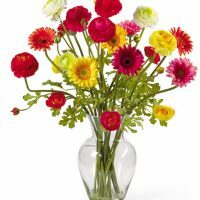 A bold square shaped vase filled with artificial water and red stone is a handsome addition to this breathtakingly beautiful flower.